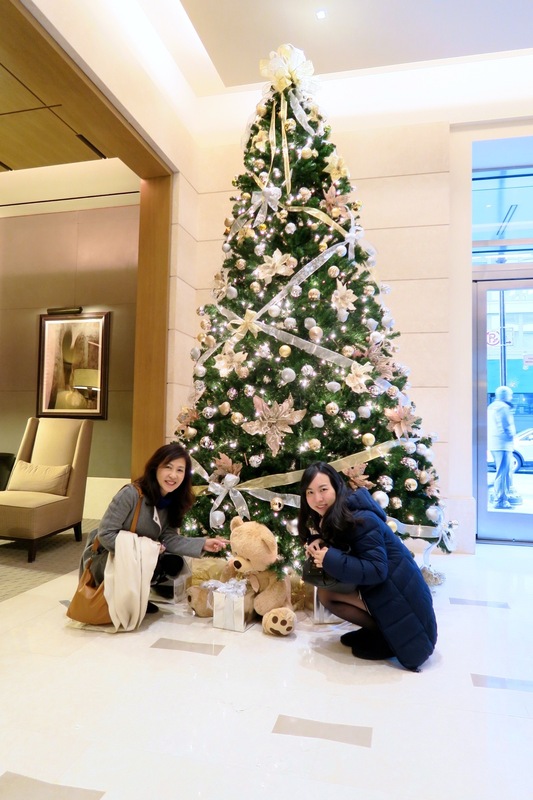 ( She visited us for only 5days from Japan) . However, I caught a cold, so I rested at home. I was fortunate to greet the New Year by playing the crystal bowls. My home and I were quickly filled with these brilliant sounds. 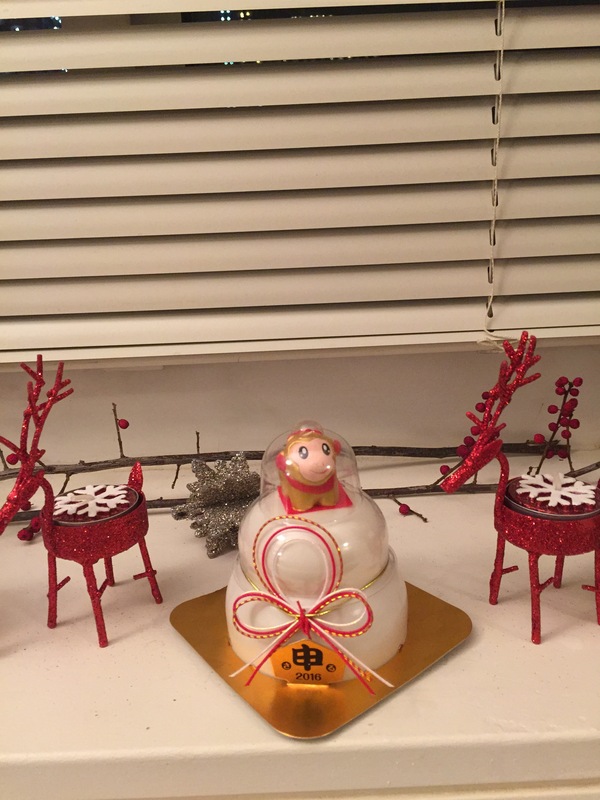 My daughter gave us a Japanese New Year’s ornament. I ate Japanese noodles (soba). Soba is usually eaten by Japanese on New Year’s Eve. 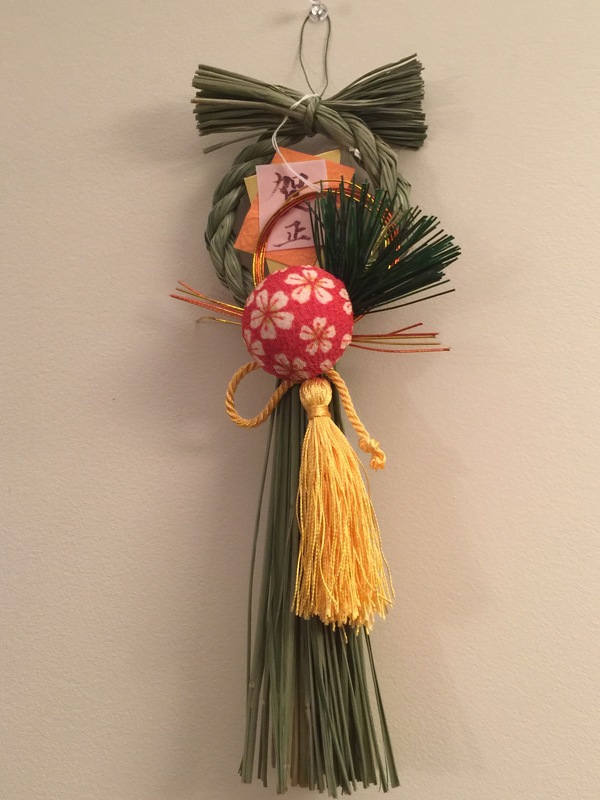 decorated my home with the ornament, and we enjoyed a Japanese style New Year this holiday. We will start work tomorrow, but I cannot imagine how my 2016 will go. I will spend my time as best as I can, and I am excited to see what will happen. 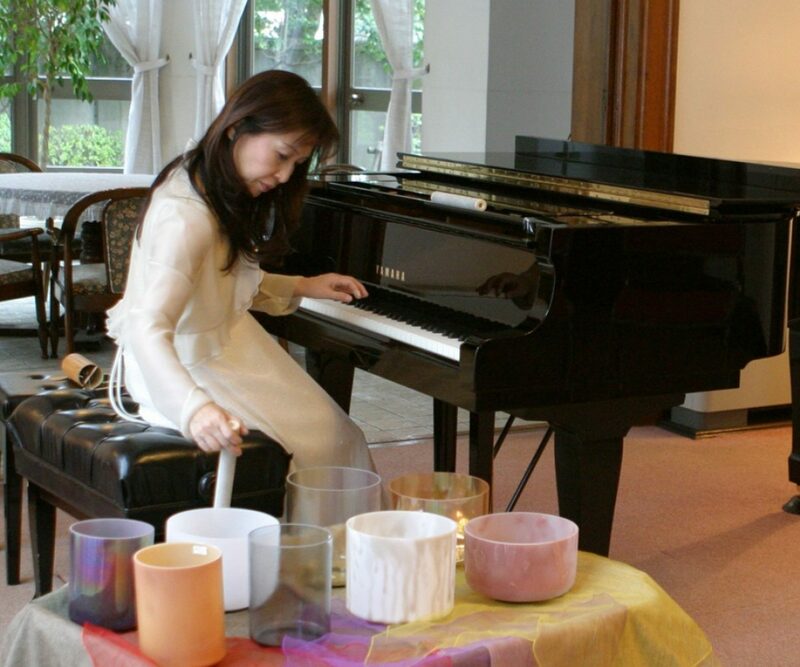 I hope I will play the crystal bowls & piano much more than last year. I also hope to reach many places and many people with my sounds . I hope it will be a wonderful year for you, too! 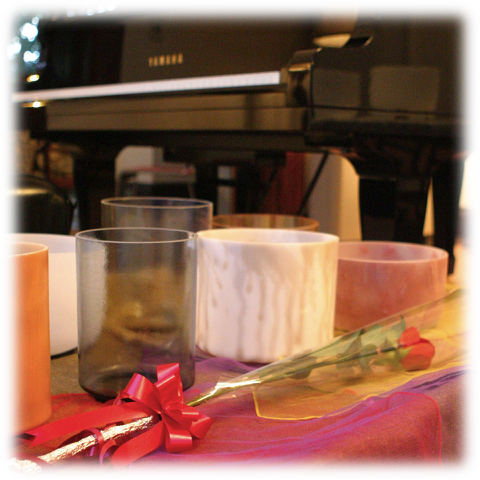 I held a crystal bowl & piano concert in San Francisco bay on Dec. 12th. because of the end of this year. I want to thank everyone who came to the concert during the busy holiday season. San Francisco is very special place for me because I lived there from 1993 to 1999. My children grew up there, so I have many fond memories from that time. 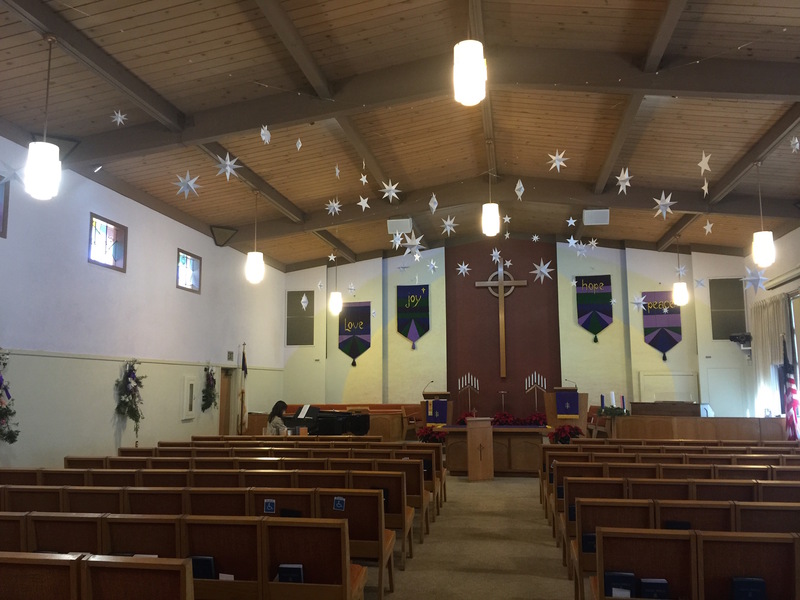 My concert was held at the Bethany Presbyterian Church. It sits on a hill near the San Francisco airport. I felt relaxed and at peace there. but it seemed like they were floating above us. 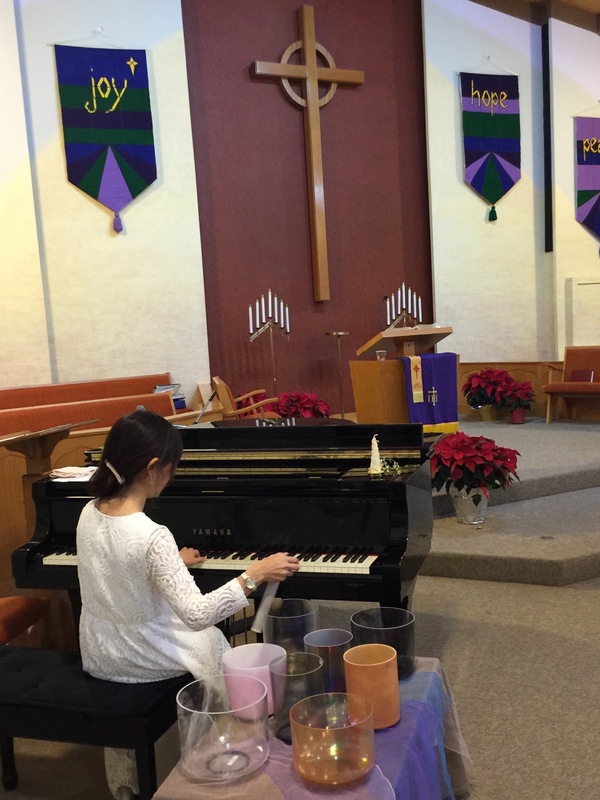 Here is a picture of me playing at the church. so I couldn’t see most of the people, but I could feel them. Everyone relaxed and opened their hearts to the message. We always have to resonate and sympathize. so we should try to be in touch with our true nature. Thereby making this life into a peaceful world. Have a nice new year!! A crystal bowl is made of crystal, and has two energetic powers, which are healing and purification. Now we are at the point in saying goodbye to an old year and hello to a new year. How was the year 2015 for you? What are your goals for year 2016? The sounds of the crystal bowl will reverberate through your whole body and mind. Please listen and experience the sounds for greeting a beautiful new year together! Fee：$20 (pair for $30)＊All profits will be donated to charity. The crystal bowl is a healing instrument made of crystal. When played, it makes a beautiful, pure sound that rapidly vibrates, and it is known for its healing powers. The sounds of the crystal bowl helps us feel relaxed and comfortable, and most people fall asleep. 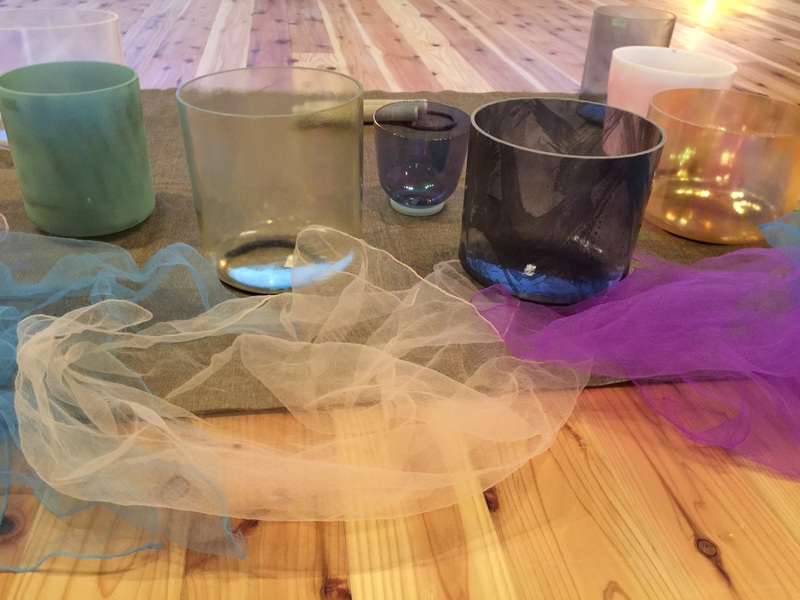 If you enjoy listening to healing music, want to relax, or have a good time, the sounds of the crystal bowl would be perfect for you. Naoe mastered a certificate of the international yurhythmic teacher of the Juilliard school’s accreditation after graduated the Kunitachi college of music in Japan. I am an artist of many talents which playing piano, vocal music, composing and improvising and teaching music. I am a crystal bowl player also. It’s made of crystal which is healing musical instrument. Especially, I established my own performance stayl that I play the crystal bowl and piano at the same time. Because, I want to play the crystal bowl as music and not only as a sound. I am a Reiki master which is a method of hand healing and the NLP (coaching and practicing psychology) trainer. 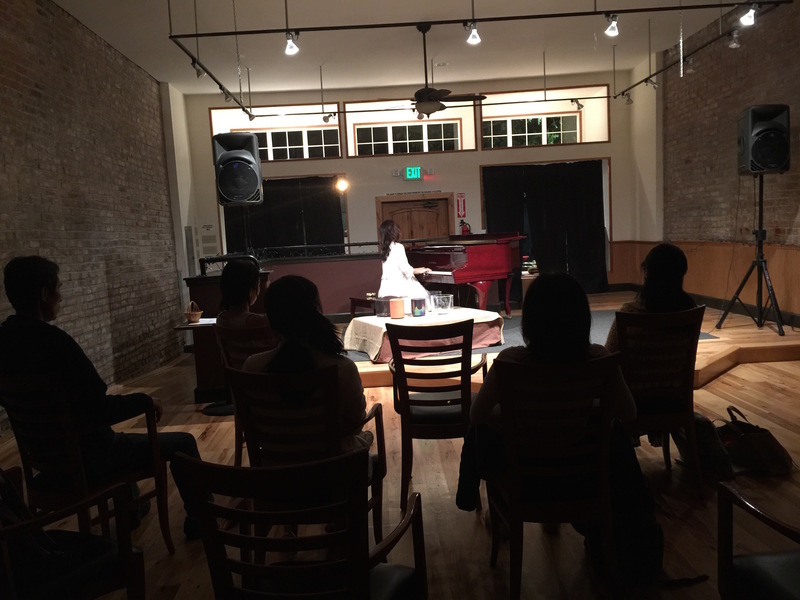 I have been performing in many part of Japan, Hawaii and San Francisco. I performed twice in September. The first performance was in Sedona, Arizona and the second was in Shasta, California. At both I played the crystal bowl and the piano. I am so fortunate to have been given the opportunity to play at these two special places in the USA. My concert in Sedona on September 18th. My Japanese friend Asako danced along to my music. My concert in Shasta on September 22nd. 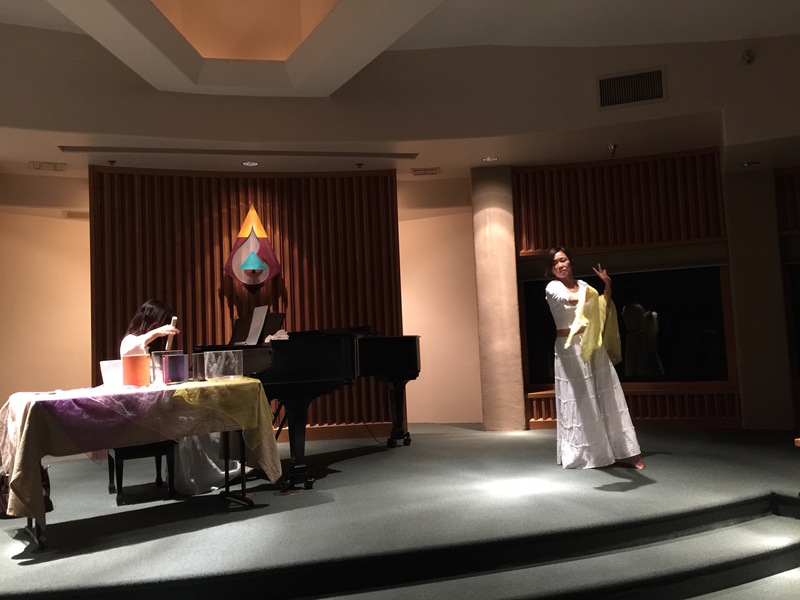 I performed for the people who attended a meditation event. I was so happy to play the song “The sound of Small Brook” which I composed when I visited Shasta 2years ago. When I composed this song, I imagined and expressed the stream of mount Shasta. I want to thank everybody who came my concert!